Fletcher Allen Health Care was rocked by financial scandal less than a decade ago, and as it emerged from that cloud Dr. Melinda Estes was named CEO. After eight years leading Vermont’s largest hospital she steps down this month, and we look back on how FAHC has changed during her tenure. 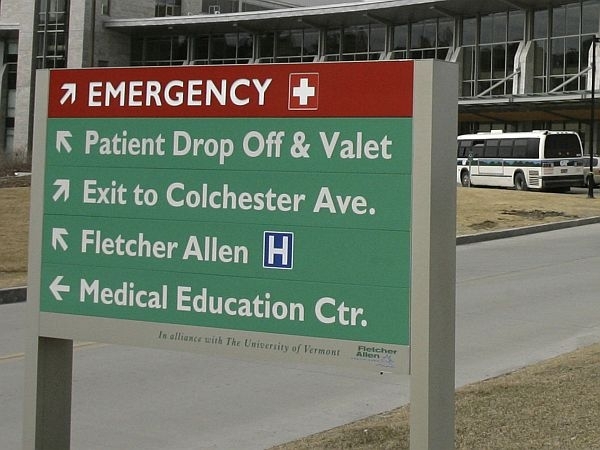 We talk with Estes about electronic medical records, the impact of Vermont and national health care policy changes, how Fletcher Allen has improved it’s facilities and technology, and what challenges lie ahead for the next CEO. Also in the program, Vermont Law School is reopening its campus to military recruiters after a 26-year ban. Dean Jeff Shields explains the policy was a response to the military barring gays and lesbians from employment, and now that Don’t Ask Don’t Tell is ending, so is Vermont Law School’s policy. And we head to Summer School! This week, we get a lesson in how to talk like an auctioneer from Tom Broughton, who leads estate sales at his auction barn in Bridport. After eight years at the helm, the head of Vermont’s largest hospital is leaving for a job in Missouri. Fletcher Allen Health Care president Melinda Estes says she will leave her current post in August. Officials at Fletcher Allen Health Care say that, after eight years on the job, CEO Melinda Estes is exploring other opportunities. Estes is widely credited with restoring Fletcher Allen’s credibility.